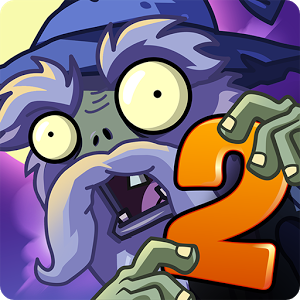 The second installment of the Plants vs Zombies 2 Dark Ages update has come to Android, and it brings along quite a bit of medieval-themed content for mobile gamers looking to absorb more of that hot zombie on plant tower defense action. This time around we're looking at ten new levels along with the debut of multiple plant and zombie units. Part two introduces several gameplay altering enemies. A Wizard Zombie can use magic to turn players' powerful plants into non-intimidating sheep. The new King Zombies don't march towards your defensive garden like other foes, instead sitting in place and knighting regular old undead to turn them into powerful adversaries. Fortunately, there are new plants players can use to counter these threats. The Magnet-shroom can strip the helmets off of Knight Zombies, turning them back into less threatening peasants. Then plants can fight back using the Pea-nut, a unit packing both defensive and offensive power. Here's a video that provides a more complete rundown. This expansion contains more challenges than just those mentioned above, including an endless mode for people who just want to test their skills. This stuff may or may not attract new players, but it should at least keep existing fans happy and occupied.